Dominique Freeman is originally from Los Angeles, California where she spent several years in the foster care system. 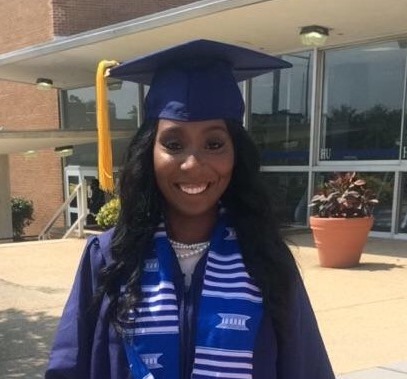 She is currently celebrating her graduation from Howard University where she obtained her Bachelor’s degree in both Psychology and Political Science. Prior to joining DCFYI, Dominique served as a Legislative Intern on Capitol Hill, where she gained experience advocating, researching, and briefing Member of Congress on ways to reform the child welfare system. Dominique is passionate about breaking the cycle of poverty and ensuring that foster youth have financial resources and mentorship before they age out of care.